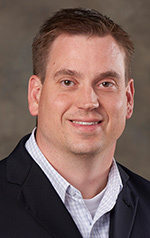 Brian Cooper has joined Sachse Construction, a Detroit-based construction management firm, as a commercial construction project manager. Cooper brings more than 15 years of construction experience to Sachse. In his new role, he will be responsible for the strategic planning and management of his assigned projects. This includes leading pre-construction efforts by establishing schedules and budgets, managing the construction process by identifying challenges and delivering solutions, and ensuring the successful delivery of projects. Previously, Cooper managed the construction of millions of square feet of commercial space spanning across Michigan, Indiana, Texas and Canada. Cooper, of Bloomfield Hills, earned his Bachelor of Science in building construction management from Michigan State University.